So, I am a huge fan of film, but vintage film has a special place in my heart. I grew up being exposed to 50's and 60's music and film through my parents and friends and I fell in love with it. 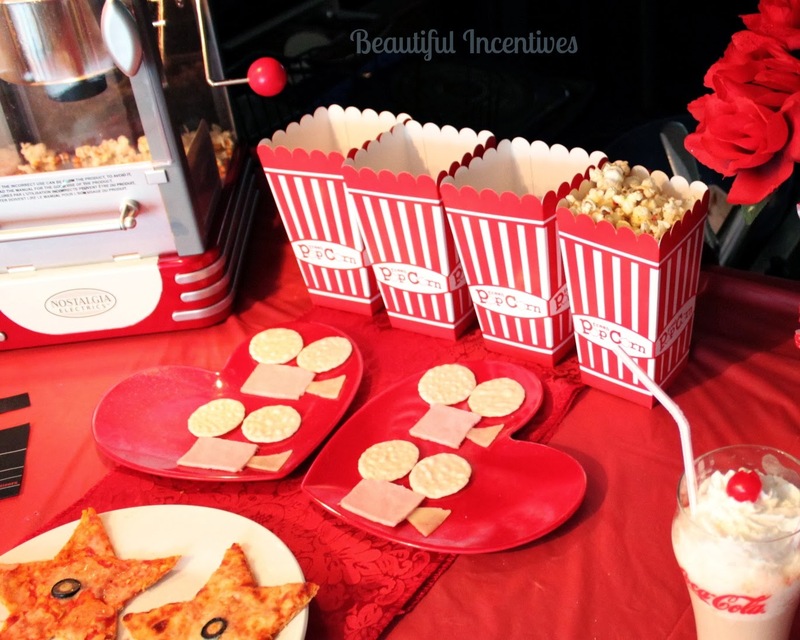 As an ambassador with World Market, I had the chance to partner up with them and Fandango to offer an exciting sweeps and develop a creative post that centered around movie night. I jumped at this chance to showcase two of my biggest loves; Vintage and Film. 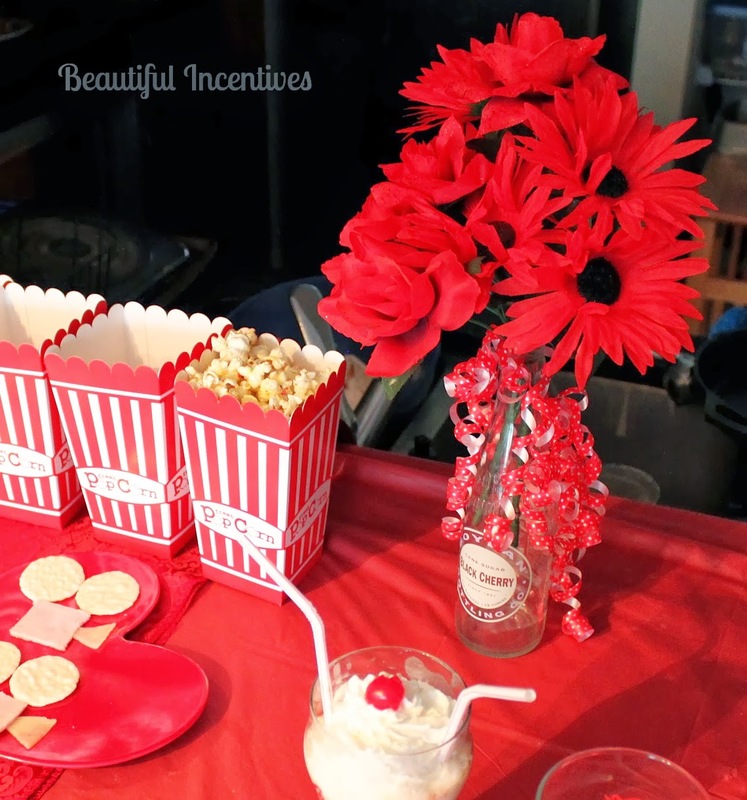 Read on for some fun ideas for recipes and theme ideas, including retro movie posters, rainbow popcorn, star walk pizza and red carpet appetizers. 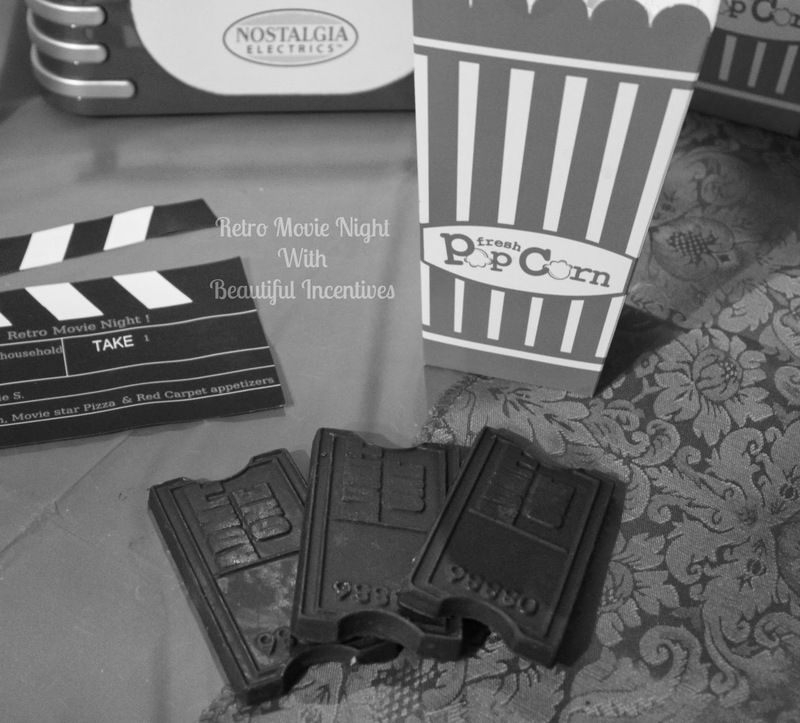 This retro theme is perfect for a movie party or romantic night in with your significant other. I bet you'll find something you didn't think of! 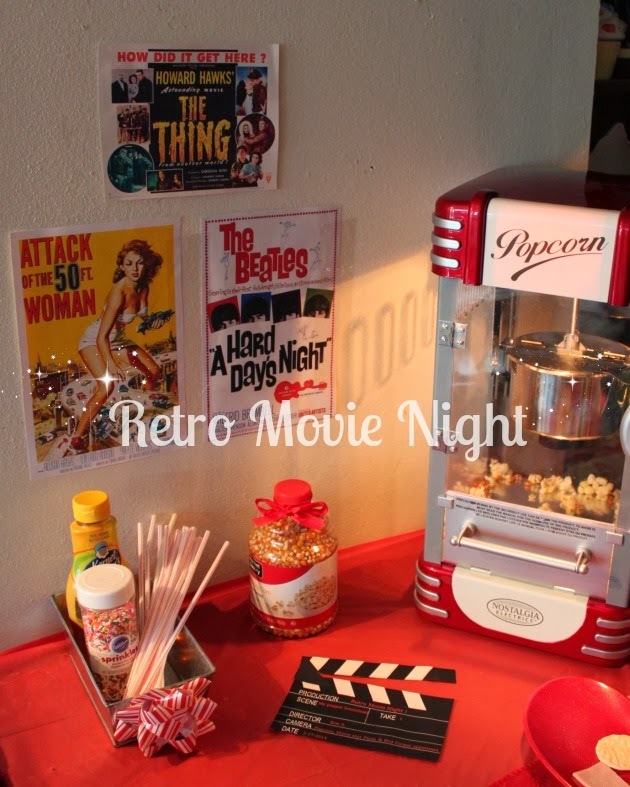 I used the Old School popcorn maker as the focal point for this retro movie night theme and it served as the prime inspiration for everything else. The most perfect piece that really captures the essence of a retro night. The machine itself is simple to use and so fun. It operates just like the ones in movie theaters. The popcorn I made was so tasty. When I was thinking of a recipe I wanted to make, I wanted it to be creative, yet really easy. 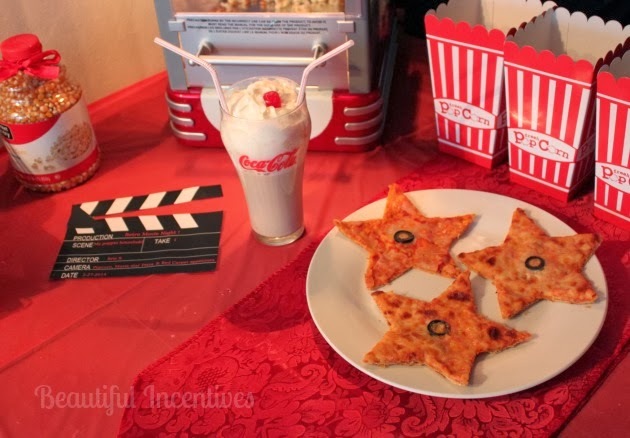 I came up with the Movie star Star walk pizza. This also requires very little ingredients! I used whole wheat mini pizzas, black olives, Mozzarella cheese, olive oil and tomato sauce. Make the pizza as you normally would, then cut the olives to make circles and place them in the middle of each pizza. Once the pizza is done, take out and let cool. While cooling, print out any one of the number of star printables you can find on google. I used the medium size. Cut out the star and place it over the pizza, making sure the olive is in the middle of the star. Then take a sharp knife and trace around the star. After that, you are going to use a pizza cutter to make the final cuts. Carefully do this, don't rush. Voila, star walk pizza stars! Alternatively you can use cookie cutters, but I wanted big stars. The third recipe is for the Red Carpet Appetizers. This is something that would appeal to kids more than anything, but I thought was super cute. I took some ham, cheese and crackers and cut to arrange them in the shape of a retro film projector. Super simple to do. It doesn't really matter what kinds of cold cuts you choose as long as they are easy to cut. For my fourth recipe, I made your classic Root beer float. 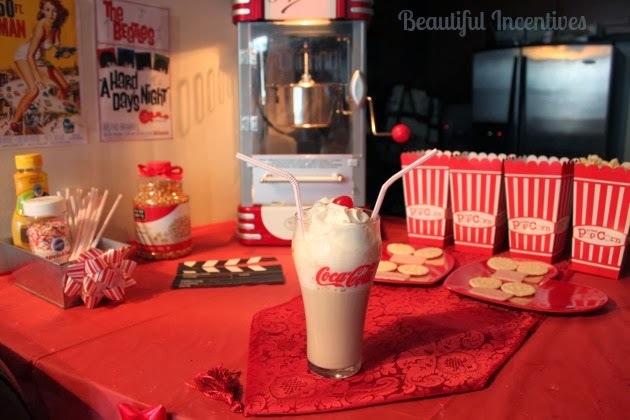 I went for the retro romantic 50's diner look using two straws in one retro cup. This recipe is simple. You need root beer of any kind, one scoop of vanilla ice cream, whipped cream and a cherry for the top. Just plop the scoop or two of ice cream in first, then carefully pour the Root beer in, taking care not to let it overflow. Put the straws in first and then put the whipped cream and cherry on top. Very yummy and fun to drink from! 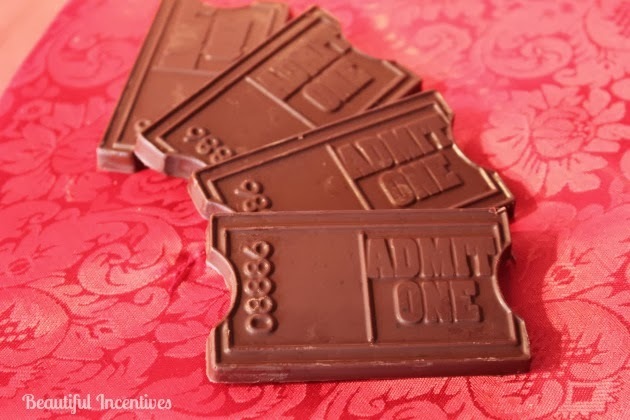 Finally my fifth recipe, the Movie ticket chocolate bars. This is the easiest and most fun of them all! I bought a chocolate ticket mold (super cheap on Amazon), melted 4 bars of Gourmet Dark Sea salt chocolate on low-medium heat and poured it into the molds (Sprayed with Pam) Then froze them for about 2 hours. They came out so cute, perfect for the movie and chocolate buff. If you plan to display these longer than a few minutes, they melt fast , so i would put them over a bucket of ice. The Dark chocolate mixed with sea salt is amazingly delectable. I highly recommend it. That's it for retro movie night. I had lots of fun putting this together and being transported back in time. And now it's time to live your movie experience. Head over to World Market and enter their #MovieLoverSweeps. 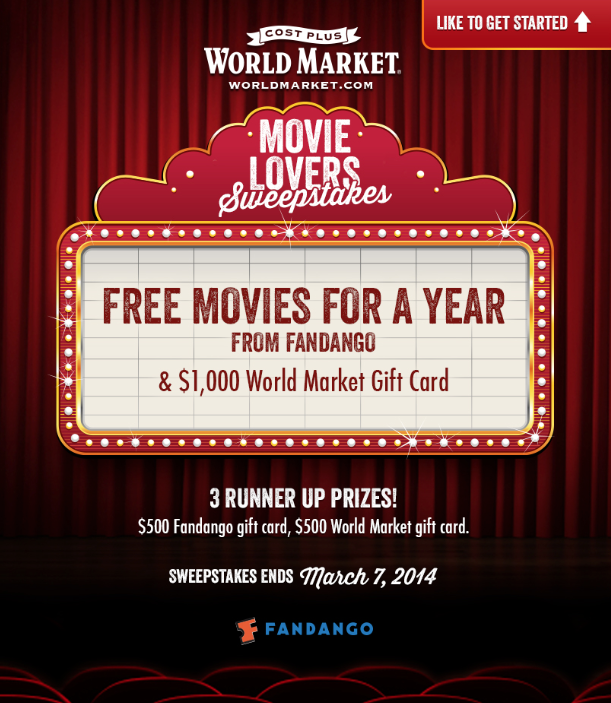 One grand prize winner will receive FREE movies for a year with a $1,600 Fandango gift card AND a $1,000 World Market gift card!! There will also be 3 runner ups and they will receive a $500 Fandango gift card and a $500 World Market gift card!! Think of how many movies and goodies you can get with all that!! O_O. This contest is courtesy of Fandango and World Market. I am a world Market ambassador and this has been a sponsored post for their movie sweeps. This post is in accordance with the FTC guidelines. I love the chocolate bars! How cool! 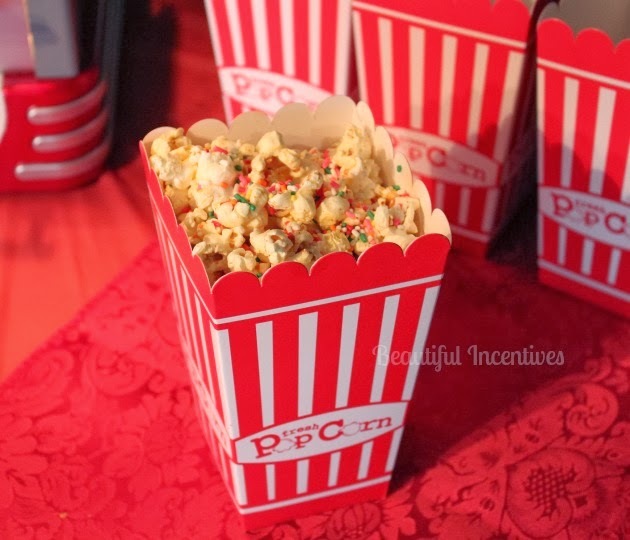 The popcorn looks pretty tasty too! This is a seriously cool set up! 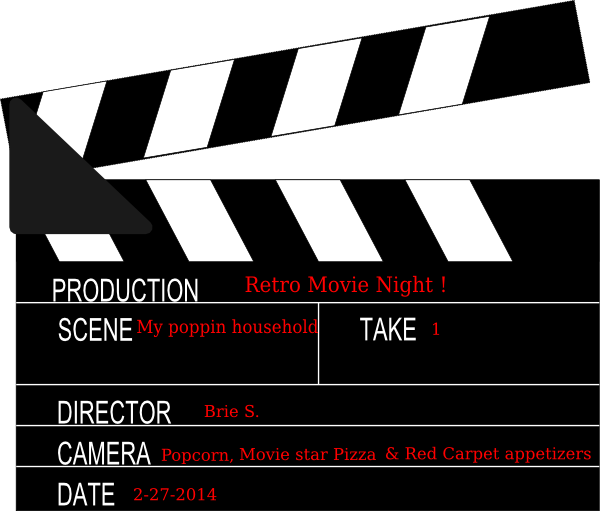 We love to do Movie Theatre Night in my house! We break out the monopoly money and let the kids buy what they want with their allotted amount. However I've never done a retro theme. I love it! Great job! This ALL looks amazing! 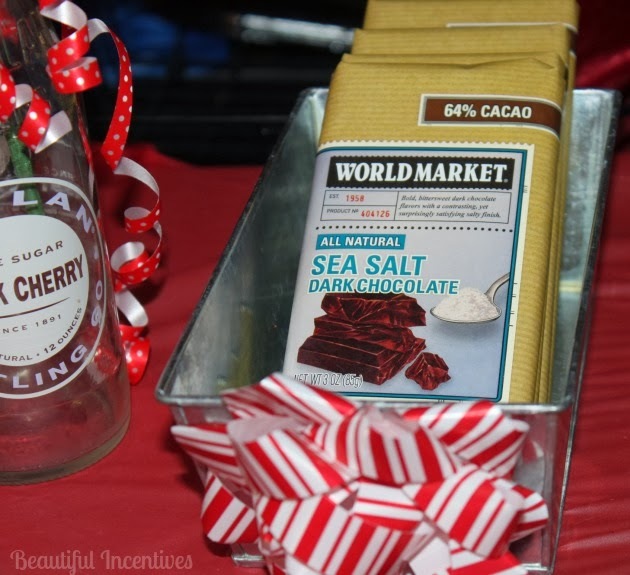 Sea salt and dark chocolate....now I have to go get some! I'll bet your house smells heavenly. Love the popcorn maker! I wish I had room for one! LOVE THIS! 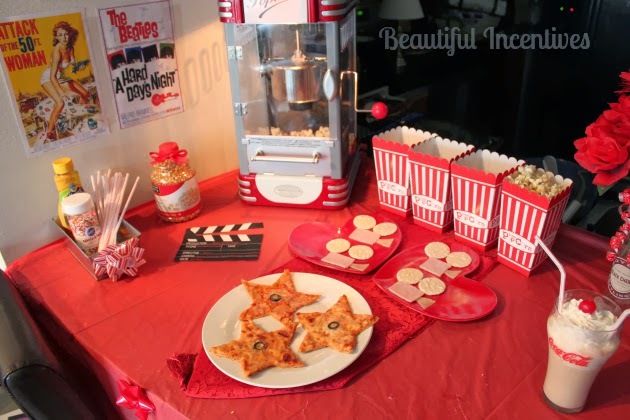 That popcorn maker is divine, and those chocolate movie tix are too cute. And dark chocolate + salt? OH YES PLEASE!!! That looks like so much fun! I can't wait until my girls are big enough to enjoy the little things like this!